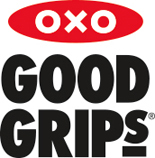 A new and improved OXO shopping experience will be live soon. Be the first to know. Magneto Induction Base: Unique magnetic coating on base guarantees superior heat transfer on all hobs. Drip-Free Edges: Unique rolled edges for drip free pouring of sauces, soups, reductions & more. about new products, recipes and more.